If you prefer your books with action upon action upon action, I can tell you this right now - Bill Kirton is not for you. 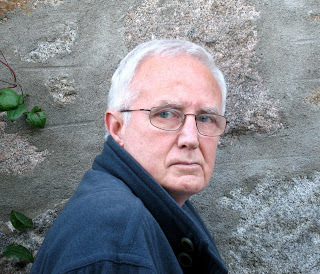 This is the author who brings back the precious tradition of classical writers, like Maupassant, Charlotte Bronte, Turgenev and Jack London, making the environment a vital character in the narrative. 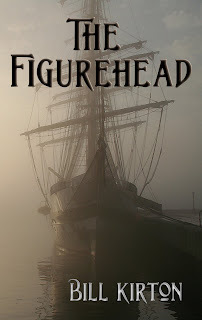 The storyline in one of his latest books The Figurehead is never lost in the details. Rather, it is supported, enhanced and given depth by the meticulously constructed setting of the ship-building, fishing, and sea-going Aberdeen as it was in 1840. The narrative spans a broad range of environments: from a deserted beach, to the ship decks, to the cabins of the working district, to a sumptuous drawing room. The set of characters populating all these places is equally impressive, and while some of them play a greater role than others, there really is no one leading man or leading lady. Everyone plays a part, everyone adds a piece to the puzzle and a brushstroke to the overall masterpiece that is The Figurehead. I am a consummate re-reader when it comes to books I truly fall in love with, and this one is definitely going on my shelf for a return visit... or two... or several. I am also looking forward to diving into Bill's other recent offering The Sparrow Conundrum. The great gentleman himself agreed to take some time to sit down with me for an interview. Your favorite virtue. Easy. As long as it qualifies as a virtue – compassion. Your favorite qualities in a woman. I’m not dodging the question when I say they’re the same as those I respect in a man. Of course the male/female ways of thinking and being are necessarily different for all sorts of reasons – primarily physiological but also cultural and historical – and I recognize and deplore the fact that there are still vast, unfair gaps between how women and men are rewarded and generally treated in society. I just wish we could evolve to a stage where, instead of being primarily defined by gender in that way, we could be accepted as individuals and equals. I know we’re all different, not just by having or not having the Y chromosome, but with different talents, ambitions, likes, dislikes and, of course, opportunities, but I really wish we could start treating one another as just people. Your chief characteristic. My first reaction to this question (and I promise you that I’m not inventing this) was to say ‘Now it’s getting hard’, because I don’t really know what the answer is. But right away, the double entendre leapt out of the screen and I couldn’t write the words with a straight face or expose myself to the scorn and derision of your readers. But I find it really difficult to identify my ‘chief characteristic’. There are some I hope I have (but maybe I’m fooling myself), there are others which I’ve heard applied to me (some bad some good) but which I’ve found it difficult to understand. So I suppose in the end, it would be something about knowing that there are many aspects of life that are very serious indeed and should be treated as such and yet always tending to refuse taking anything too seriously. Your main fault. As with the previous question, the problem here is to identify a single one amongst many. That doesn’t mean I think I’m particularly bad or nasty, but I obviously have plenty of faults. Then again, if I thought they were faults of the ‘anti-social, hurting other people’ kind, I’d try hard to eliminate them. Which means I’m probably unaware of the truly awful ones and deceive myself into thinking that I’m much nicer than I really am. But this all sounds evasive, so let’s choose envy. What you appreciate the most in your friends. I suppose the thing about friendship is that it develops between people who have an appreciation of each other’s good and bad points and welcome the good and ignore or tolerate the bad. The likelihood that a friend will surprise you by taking something you say or do in the wrong way is very slim, so friendship means accepting people for who they are. This has to go in the context of my ‘hell is other people’ philosophy. We all make judgements of others based on the flimsiest evidence and dictated by our own preconceptions. With friends we can break through that destructive barrier and be who we are. Friendship is relaxing. Your idea of happiness. I’m lucky in that there are lots of things that make me happy. Writing, when it’s going well, being alone on a sailing boat with a good wind, the success of people I love, a perfect combination of food and wine, being with someone who’s genuinely funny, knowing that my kids and their kids are happy – ands that’s just the start of the list. If not yourself, who would you be? I like my way of life and my circumstances, so I’m not anxious to change places with anyone. (Another main fault there, maybe – complacency?) But for the sake of this, I’ll be self-indulgent and be a sportsman who’s really good – at football, golf, sailing or cricket (without having to train too much, of course). Or a concert pianist who didn’t have to practice much. And if you insist on me naming an individual, I’d be Michelle Obama. If you could live anywhere in the world, where would it be? In the South West of France, but not near any of the Brit ex-pats there. And if that’s not possible, Rhode Island, but you’d have to cover medical expenses for me. Your favorite heroes in fiction. Madame Bovary, Yossarian in Catch-22, Janet Evanovich’s Stephanie Plum, Superman (as embodied by Christopher Reeve), Homer Simpson, most of Jane Austen’s women … oh and lots of others. Your favorite heroes in real life. If you thought all my previous answers were boring, this is going to be even worse, because I think the term ‘hero’ has become corrupted and many of the ‘heroic’ acts applauded by the tabloids and politicians are merely cited to boost circulation or increase popularity. The real heroism is the stuff we don’t hear much about – the daily self-sacrifice, year after year, of single mothers bringing up kids on pennies, of carers giving up their independence and, in fact, their own life, to look after relatives or partners. See what I mean? How much more interesting this would have been if I’d said General So and So. The natural talent you'd like to have but don't. I’d love to play the piano well and I wish I could draw and paint. For what fault have you most toleration? Too many of my answers already have been too, long so let’s be provocative (although still genuine) with this one. Lust. What is your present state of mind? Buzzing with all the things I didn’t say above, with the feeling that I’ve been too po-faced and should have made more jokes, that I know that, as soon as I send this off to you, I’ll want to change things and much better answers will occur to me. So, as long as my ‘mind’ is still working and thinking and being interested in stuff, I’m happy. Your favorite (or personal) motto. Life is too short to worry about stuff. Or, as an alternative, one from the great Samuel Beckett ‘In the beginning was the pun’. Brilliant. 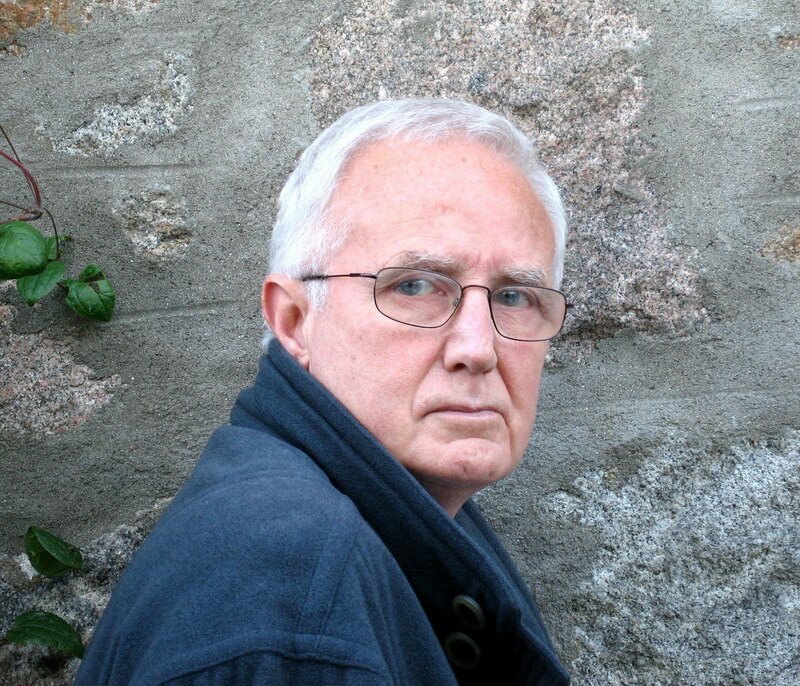 Interested in Bill Kirton's excellent writing? Here is where you can find it. Apologies for the previous deletion, Maria. It was the usual business, I spotted typos the moment I posted it. (I noticed a couple I'd missed in the interview, too. When will I learn?) Anyway, many thanks for the invitation and for the kind remarks about my books. Your questions are devilish - on the surface, they seem simple enough but they really force you to look for who you are. I hope I'm funnier than the guy who wrote the above. I would say you had given a lot of thought to the answers,Bill. It's always hard to be brave enough to answer honestly! 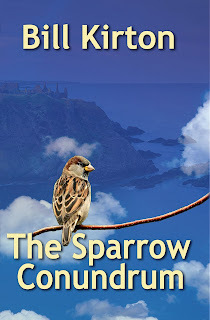 I liked that this was different from the usual writerly questions. Nice work, guys. I agree with Michael - really interesting questions and you did a good job in answering them, Bill. Not boring at all. 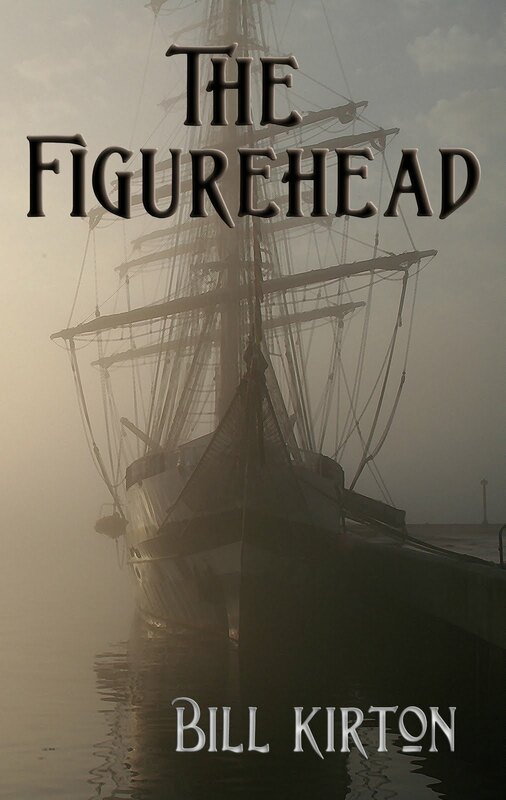 And The Figurehead is a brilliant read with wonderful female characterisation (from a man!). Mmm - nice interview, a bit different from the usual and it lets us see what a really nice man Bill Kirton is as well as a great writer. However, I'm still struggling with the picture of Bill as Michelle Obama, playing the piano and drawing and painting at the same time - and then there's the lust . . .
Myra, Michael, Rosemary - thanks a lot. You're right, Maria's questions are refreshing different. And Rosemary, I really appreciate the comment about female characterisation. Thanks Chris, and when the movie of my cross-dressing as the First Lady in the scenario you describe is released, you'll be invited to the Première. I look forward to that. You do realize though that puts you in line for a personal appearance you know where. Thank you, all, for the lively discussion. Bill, if you cross-dress as Michele Obama, I want first dibs on your shoes and jewelry. If anyone wants to see other interviews with our Pfoxmoor Publishing colleagues, you can just type "interview" in the search box. They are all great fun. As far as the questions are concerned, it all began when I bought a book of Proust questionnaire interviews with a broad range of famous people. I found it fascinating, how the same very basic questions could be answered in a vastly different way. One of my favorites was Johnny Cash's reply to "Your idea of happiness", "This morning. With her. Drinking coffee." So, I shamelessly borrowed the idea and started using questions from the Proust questionnaire for these interviews - with equally interesting results. What a super and interesting interview. A few surprises too. Madame Bovary as a favorite hero for one! Oh, Bill. You've made mine look very abrupt. I have to say I agree with a lot of what you said. Especially about heroes. Greta, that's not true! Yours was unique and wonderful and interesting in its own way. I agree totally with Maria, Greta. The beauty of this interviewing technique is that it by-passes the conventional format. Nothing wrong with the latter, but this type is much more open and the results give more variety to the interviewees. I think you and I could both repeat the interview and give totally different versions of ourselves. And yes, Janice, thanks to having to lecture on Madame Bovary as well as loving it, I must have read it scores of times. At first, as a teenager, I wished I'd met her because I was sure I could have saved her from herself, but later, it was the sly subversions of Flaubert himself that were the attractions. Bill - this is all SO interesting - about you rather than your writing for a change. Snap to Madame Bovary, but I'm not so sure about Michelle Obama. sorry to leave this comment in such an obscure place, but through browsing the web, I noticed that you somehow came in contact with two tins of Sherlock Holmes London Tea. I have been trying to locate some of this tea myself, but have been most unsuccessful. Its my father's favorite tea and he is almost out. If you could tell me where I could find some, or help me in any way, I would be most appreciative.